From our July 2016 issue. 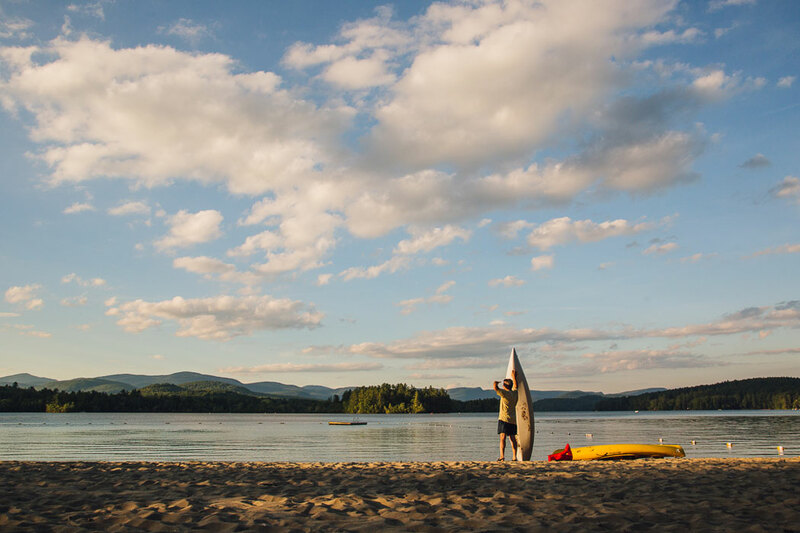 Around Kezar Lake, a preference for quiet recreational pursuits is so widely shared as to be a de facto rule. 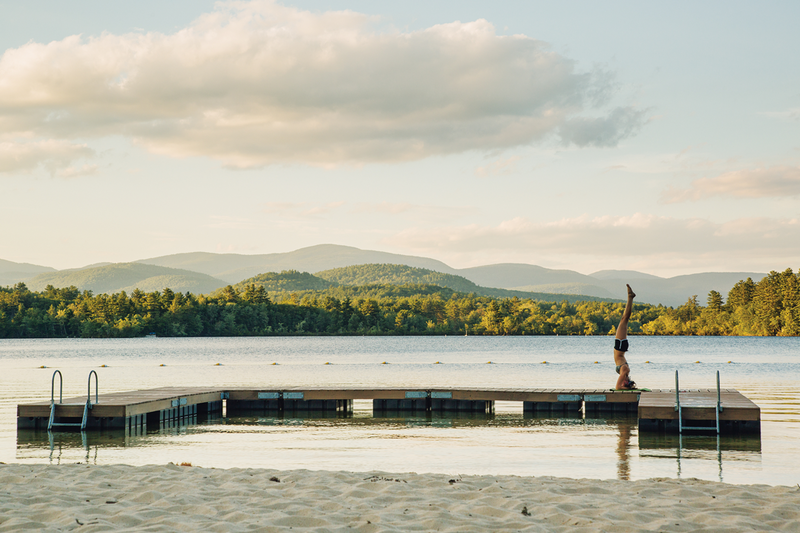 Maybe it’s the traditions that make it seem that way — perennial rituals like jumping off the Narrows Bridge on a steamy July afternoon, playing softball into the purple twilight on a field rimmed with birches, or anchoring off a white-sand beach at sunset to eavesdrop on the singers at Quisisana Resort. Count Lee Conary among the charmed. In the 1960s, when he was a 10-year-old on a camping vacation with his parents, Conary declared his intention to buy Kezar Lake Marina, a jigsaw puzzle of docks and boats on The Narrows, which links Middle and Lower bays. “Kezar gets in your soul, and once it’s there, it’s the place you think about the rest of the year,” says Conary, still boyish with brilliant-blue eyes and sandy hair curling over the collar of his t-shirt. True to his word, he and his father, David Conary, bought the marina in 1990, and even now, after a quarter-century of servicing boats, he remains under Kezar’s spell. He greets his regulars with the welcome that’s heard everywhere around the lake: “Just another day in paradise,” he says with a grin. And he believes it. Before we delve any deeper into the mythology of Kezar Lake, let’s get one rural legend out of the way: National Geographic never named Kezar one of the three most beautiful lakes in the world. If that’s true (and even if it isn’t), it’s a nice flourish on the Kezar mystique, which Vallée himself helped create: Kezar is the old-fashioned glamour girl of Maine lakes, a rural retreat with understated elegance and an etiquette best summed up as no showing off, whether by driving noisy jet skis (so reviled here that few dare to use them) or building McMansions (most homes, even the million-dollar ones, recede into the piney shoreline), or behaving like a big shot even if you are one (novelist Stephen King eats breakfast at Rosie’s counter as unobtrusively as anyone who is rich and famous can). Clubs like Severance Lodge (here) and Westways have helped create a code of polite behavior on the lake. Rosie McKenzie’s store knits locals and summer people together. 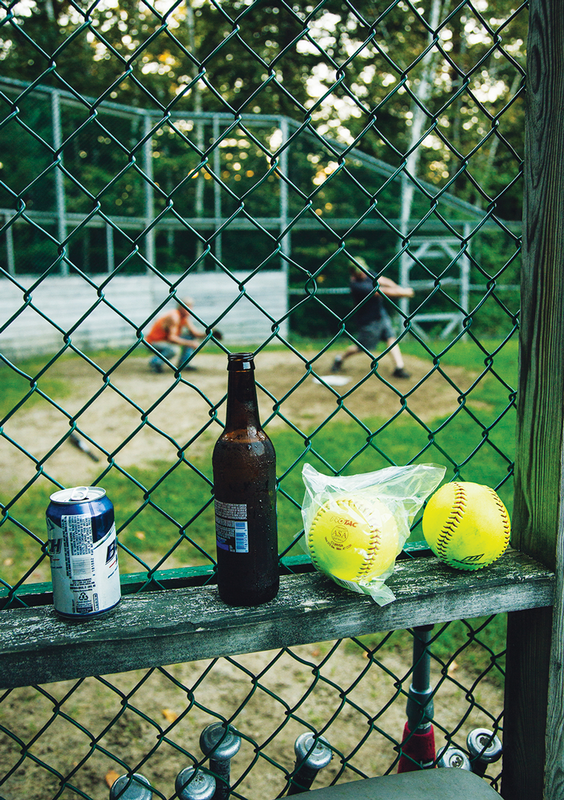 Thursday evening softball at Westways is a 50-year-old tradition. 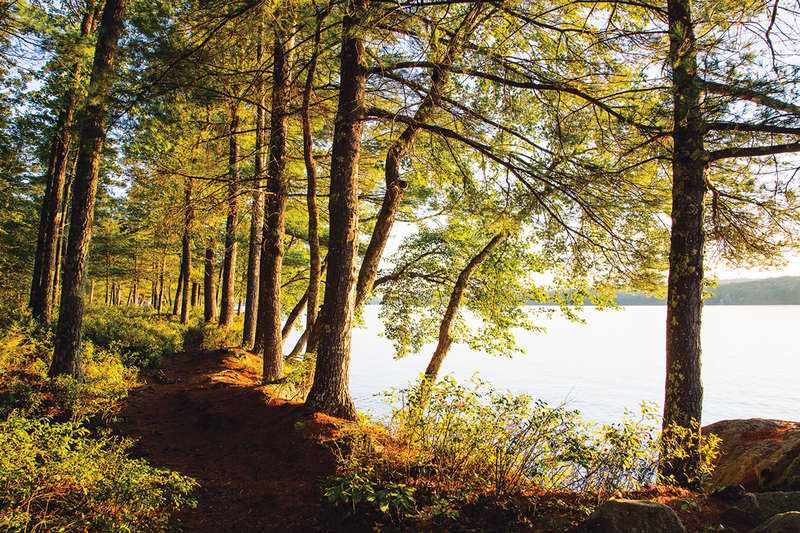 National Geographic rumor aside, Kezar Lake is uncommonly beautiful.  Carving a deep, squiggly J along the easternmost edge of the rugged White Mountains, it stretches nearly 10 miles, never more than a mile wide, through the pastoral town of Lovell, with dips into Stoneham and Stow. 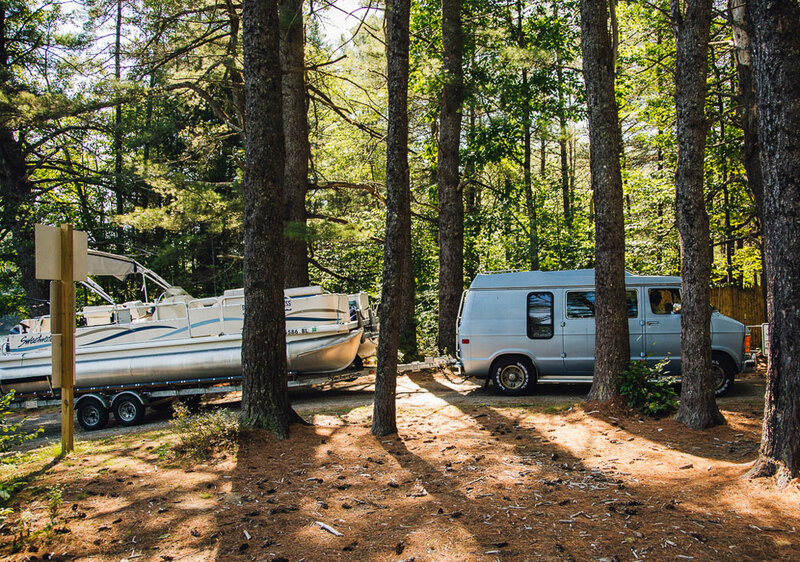 Kezar is just 15 miles from the busy Fryeburg, Maine/Conway, New Hampshire border, but most travelers never see it, heeling instead to the well-beaten path of Route 302, which swings by Sebago Lake, Kezar’s big, boisterous, and gregarious opposite, on its way to the coast. 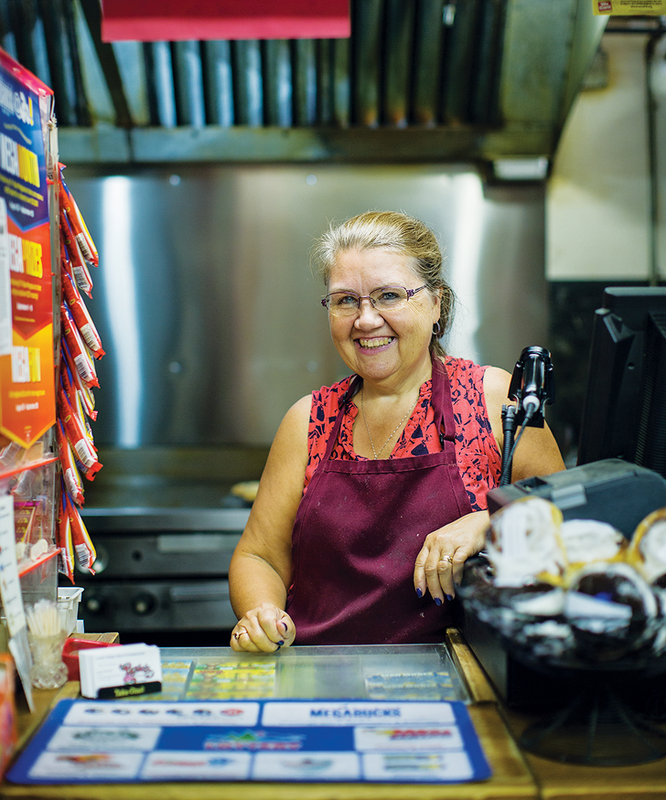 Even at the height of summer, Lovell’s Main Street (Route 5) has the feel of a backcountry lane, with pretty farmhouses strung out at wide intervals, and here and there an antiques or craft shop that may be open — or not. The village is a smattering of buildings, including Rosie’s and a public library that is surprisingly well appointed for a town of 1,140, thanks in part to benefactors like Stephen and Tabitha King. A couple of miles north, down a side road, is the town’s only pub — Ebenezer’s, a fine one — and beyond that is Center Lovell Inn, which Virgin Island innkeepers Rose and Prince Adams won in an essay contest that made national news a year-and-a-half ago. 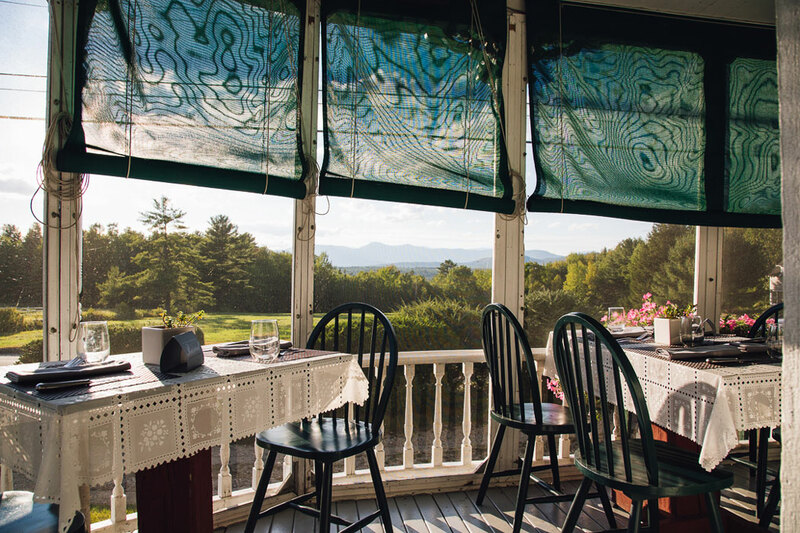 The inn is Lovell’s only option for fine dining and one of just two places offering short-term lodging. The other, Pleasant Point Inn, sits lakeside out of view, which leads us to another contributor to Kezar’s sense of seclusion: Except at The Narrows, Kezar is entirely hidden by woods from the roads that encircle it. 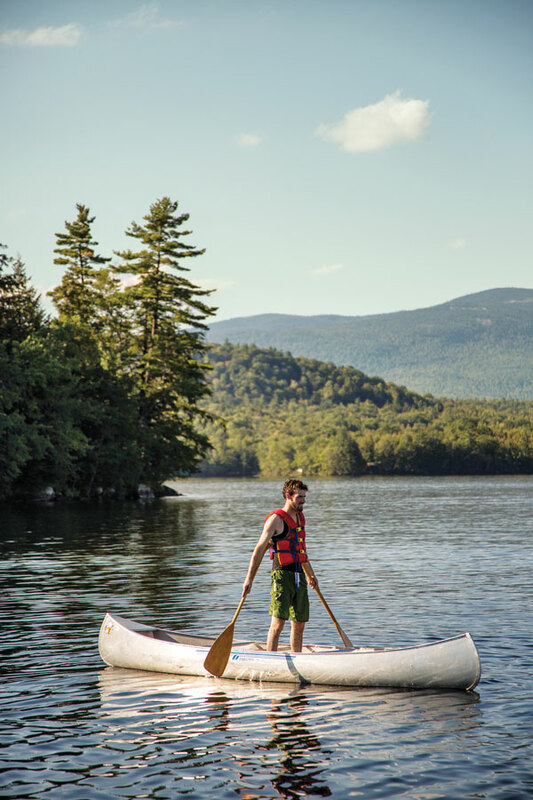 Kezar is the big Maine lake that feels like a small, private pond. Kezar hasn’t always been Lovell’s main attraction. The town’s first hotel, the Fairview, opened in 1861, catering to a clientele that was more interested in gazing upon the White Mountains — dubbed the “American Alps” by travel writers at the time — than the lake. As for the locals, they pastured their cows and grew crops right up to the water’s edge and viewed Kezar “as a waste of good farmland,” Cathy Stone says. Kezar’s reputation as a refined backwoods getaway deepened with the ensuing years. Brown’s Camps, whose guides paddled well-heeled sportsmen to the best fishing spots, evolved into Severance Lodge, where white-jacketed waiters served five-course dinners and pianist E. Lillian Severance performed her own composition, “Lake Kezar Waltz,” on the point that juts into Middle Bay. 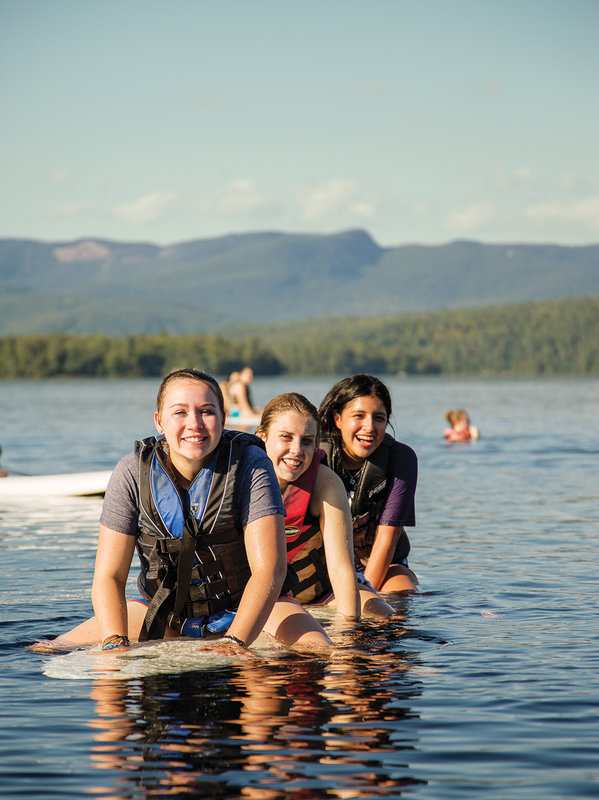 Wealthy parents in Philadelphia, New York, and Boston sent their daughters to Camp Mudjekeewis for a dose of country air and sunshine (alumna include Bette Davis and Jane Fonda). 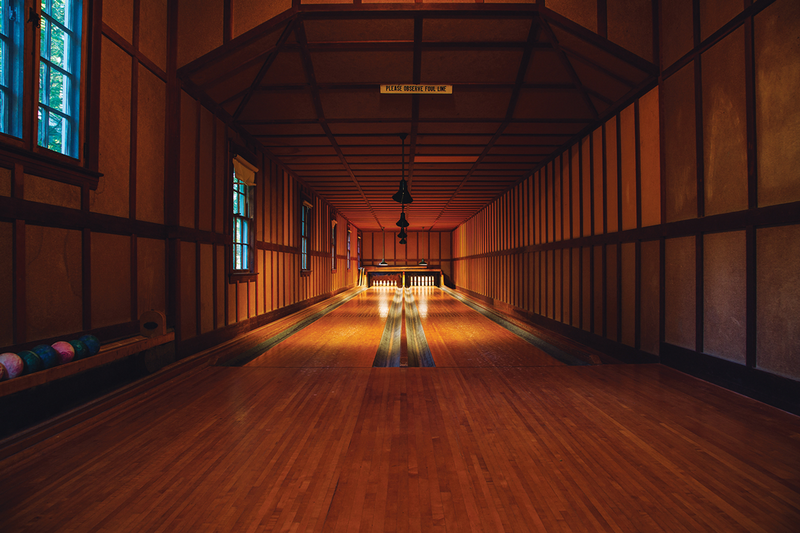 Diamond Match Company president William Armstrong Fairburn hosted clients at Westways, a rustic-looking corporate retreat with swanky amenities like a two-lane bowling alley and fives court (similar to a squash court but designed for the English handball game fives). There were touches of flamboyance: Don Dickerman, the dashing but eccentric owner of Greenwich Village’s famed Pirates’ Den Nightclub, was often seen strolling his private beach dressed like a buccaneer, complete with breeches, sash, and saber (he believed he was the reincarnation of Blackbeard). On moonlit nights, Dickerman neighbor and protégé, Rudy Vallée, glided up the lake with a boatful of movie stars as the languid strains of Glenn Miller’s “Moonlight Serenade” drifted over the water. Over time, the lake changed physically from the one Arthur Stone discovered on that graduation camping trip. The shallow southern appendage, now called Lower Bay, was a cranberry bog until the late 1920s, when Biddeford’s Pepperell Manufacturing Company built a controversial dam at Kezar’s southern outlet in order to control water flowing into the Saco River. Not only did the project transform the bog and create new shorefront properties — it’s the most densely developed section of the lake — it also raised the water level throughout the lake a dramatic 3 feet, submerging the rocky shoreline and destroying many boathouses. Meanwhile, farmland was slowly sold off to cottagers. Over time, forests overtook fields, wrapping Kezar in a dense green cloak. Buy this issue in print! On some steamy summer evenings, Peter and Cary Fleming gather their family in their pontoon boat and motor to Pleasant Point, where they join other boaters sipping cocktails and listening to Broadway show tunes flowing from Quisisana’s music hall as the sun slips behind the White Mountains. Part of the Kezar mystique since 1917, Quisisana recruits its 70-odd waiters, waitresses, and other service staff from the country’s best music schools, and they perform after dinner for inn guests — and the boaters in the free seats out on the lake. 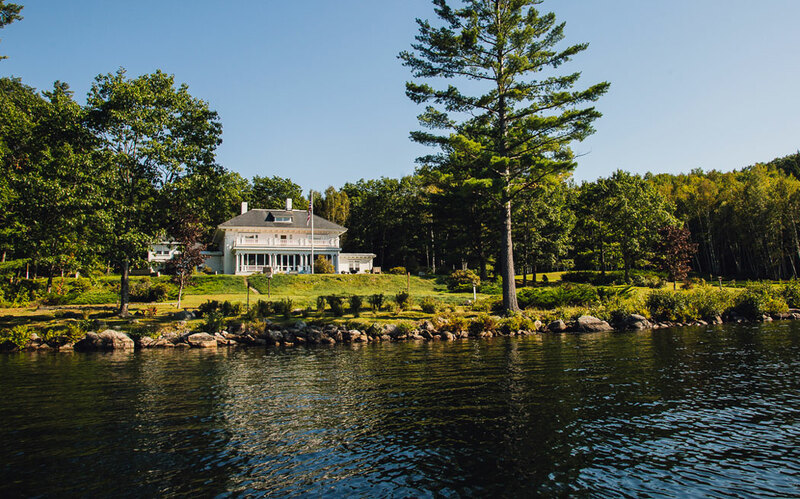 When they return to their cottage at Severance Lodge Club, the Flemings will sit on the porch and enjoy the cool air that comes with nightfall and listen to music of a different sort — the haunting calls of loons. 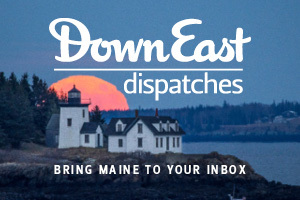 The Flemings, who split their year between Maine and South Carolina, were among the first families to buy one of Severance’s small cabins after the resort was transformed into an exclusive vacation-home community about 20 years ago. Like most of their neighbors, they’ve significantly expanded their dwelling upward and outward, while retaining its simple pine finishes inside and out. 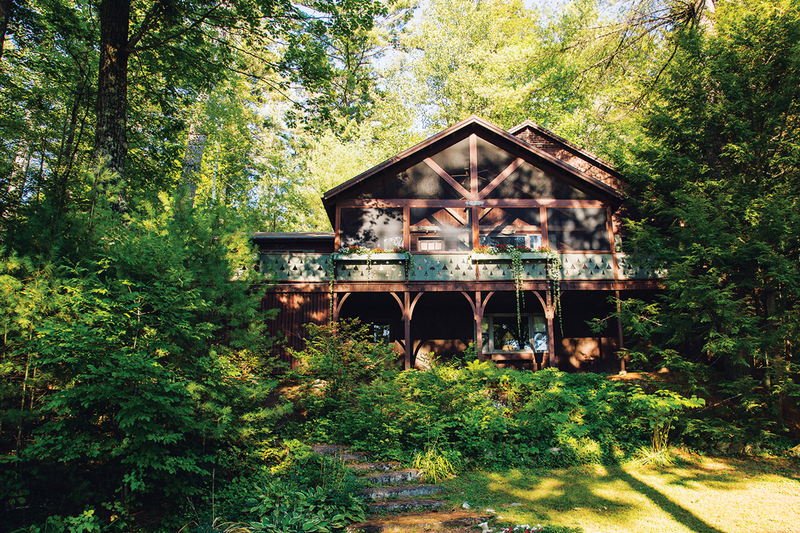 All of the 37 homes here, in fact, share the same rustic style: chocolate-colored siding and forest-green bargeboard trim decorated chalet-style with cutouts of pine trees and canoes. Severance looks like the campus of an exceptionally well-maintained summer camp, which it sort of is: Homeowners share the beach and dining hall (dress code: “smart casual attire”), and partake in organized activities like tennis and shuffleboard tournaments. On the Fourth of July, the neighborhood kids parade to the point where Lillian Severance once serenaded her guests. There, the flag is raised and everyone sings “God Bless America” before regrouping for a day of swimming, waterskiing, cookouts, and fireworks. “We like the spirit of community here,” Cary says. 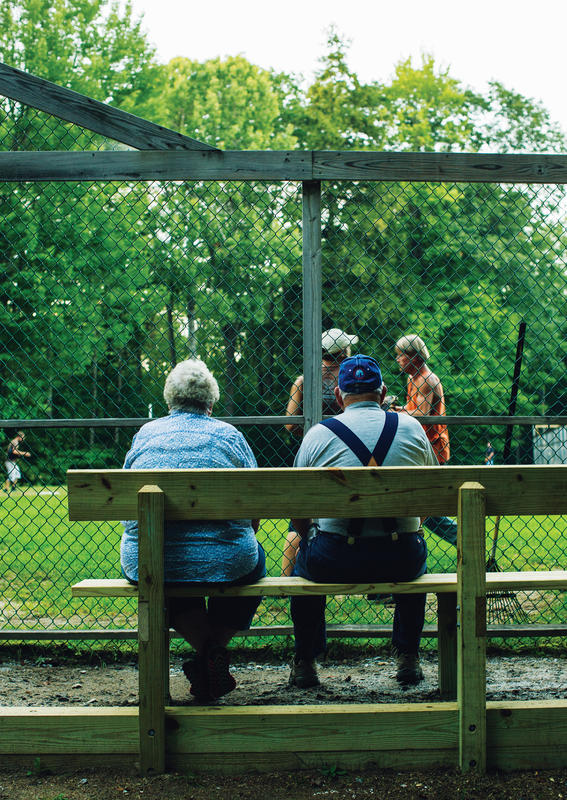 The sporting-camp-turned-residential club is a distinctly Kezar phenomenon, and it has helped shape the culture of the lake. Just up the road from Severance are two comparably styled communities — Westways, the 1920s Diamond Match Company retreat, and Boulder Brook, built in 1900 as Lyons Camps. Residents of each insist their community is the best, but to an outsider, the similarities are striking. Like Severance, Westways and Boulder Brook have individually owned homes and community facilities, such as beaches and docks. All have membership fees (Severance is by far the priciest, with monthly fees averaging $900). And all have strict rules for uniform cabin-style architecture, an unfussy aesthetic that dominates up and down the lake, even where there are no rules. Nothing manmade competes with the beauty of Kezar. Peer pressure has been the primary tool for keeping fellow property owners in line. “Kezar has historically been the playground of the wealthy, and one of the reasons it’s been so well preserved is that the wealthy didn’t want it looking like Weirs Beach or Sebago or Naples,” says David Wood, who bought his place at Westways after it transitioned to vacation homes in the early 1970s. Or he might be the guy playing shortstop at the Thursday night softball game at Westways, a nearly 50-year-old tradition. 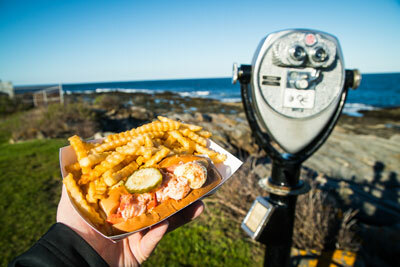 Locals open the season just after ice out in April or May, and they keep it going until just before the Fryeburg Fair in October. In between, summer people swell the ranks, so the teams change week to week. There are no underdogs to cheer, no champions to crown. There’s just the simple pleasure of playing ball as the stars come out in paradise. 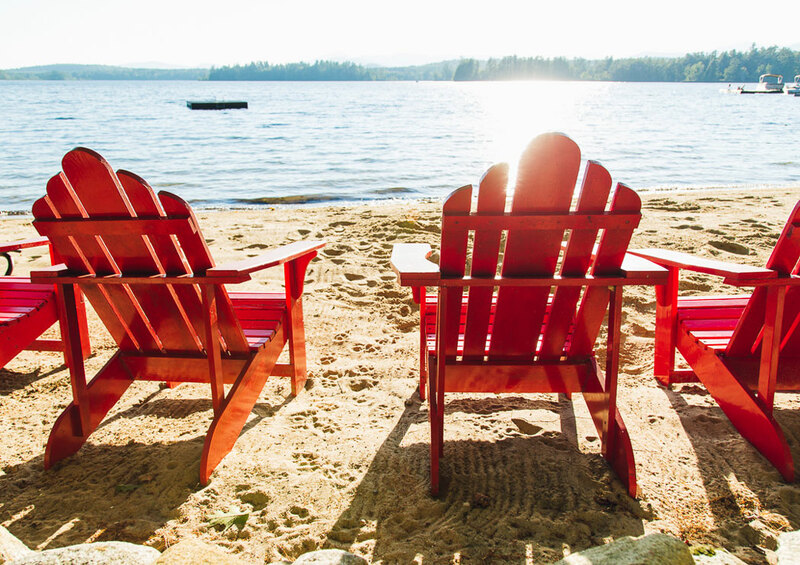 I must say, I have enjoyed Kezar Lake for many summers. Be it getting ice cream at the Marina, swimming in the rain, or simply sitting out on the dock to enjoy the view, I have always been happy to be there.